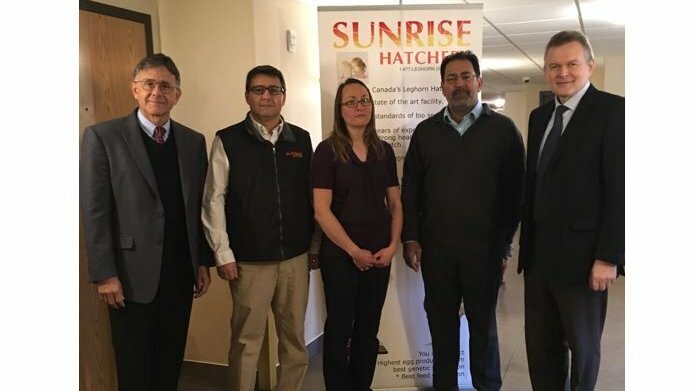 During the last week of October, Hendrix Genetics and Sunrise hatchery conducted seminars in Alberta, Canada. Sunrise hatchery distributes Shaver White, Dekalb White and ISA Brown commercial layers. Participation was excellent in spite of challenging weather; one day, the strong prairie winds were blowing up to 100 km/hour. 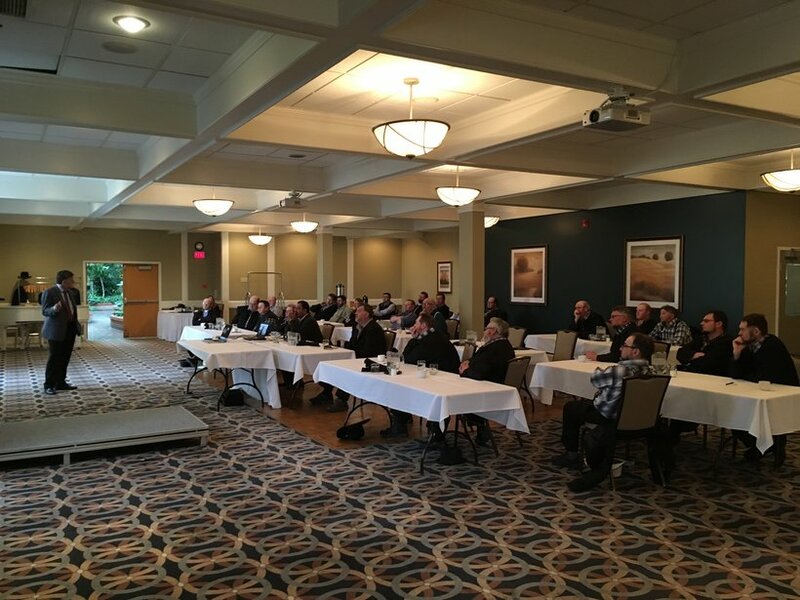 Seminars were conducted in the areas of highest concentration of egg laying farms – Lethbridge, Strathmore and Leduc. During the meetings, sales manager Eugene Fridman updated participants on the history, evolution and new developments in Hendrix Genetics. The group was updated on breeding work, new projects and showed test and field results. These meetings were very interactive. Farmers asked many questions and shared their positive experiences with the products. Dr. Zavala gave a veterinary presentation related to IBV. He educated the group on the disease, explained challenges associated with it, and gave advice for proper protection. Ways of monitoring and interpreting lab results were also explained. It was relevant and interesting topic for all participants. The egg market in Alberta consists of white eggs mostly, however there is certain need for brown eggs also. ISA Brown for many years continues to deliver good results in the province. Results show that customers are seeing high egg numbers, excellent egg quality and one of the best FCR among Brown layers. Overall it was very successful week. It gave us the opportunity to update our customers on our efforts in breeding, hear their feedback, discuss new exciting projects, and share together our vision for the future.